Personal Injury Attorney in Warwick RI | Resmini Law, LLC. Located in Kent County, the city of Warwick lies just twelve miles south of Providence. As the second largest city in the state of Rhode Island with a population of over 80,000, we frequently serve clients in Warwick. A historic city that has played witness to a number of notable events in Rhode Island history, Warwick has evolved into one of the more popular places to live in the state. As with many other coastal communities in RI, Warwick attracts visitors from all over New England during the spring and summer months. Warwick is also home to T.F. Green Airport, which is the state’s largest airport and offers a number of regional flights to nearby Boston, Worcester, Manchester and other major cities in New England. 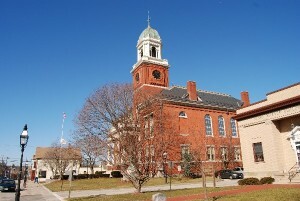 Attorney Wayne G. Resmini is proud to serve clients in the nearby city of Warwick. From slip-and-falls to major motor vehicle accidents, Attorney Resmini accepts Warwick personal injury cases of all sizes and types. Attorney Resmini has helped countless clients in the Warwick area receive maximum compensation from their personal injury cases. Wayne’s 30+ years of legal experience and knowledge of local laws and regulations affords him the ability to handle Warwick personal injury cases properly from start to finish. To request a free consultation, contact Attorney Resmini today!